South Street & Co. was established in 2015 to help small businesses grow their reach online through website design, social media, SEO, email marketing and design work. We take pride in being transparent and walking our clients through projects. Our goal is for you to be satisfied, enriched, and excited about the new piece of your company we created for you through our marketing strategies. Her first introduction to marketing was as the Director of Marketing for a large dermatology group in Orlando. Over the two and a half years with them, Kaitlyn launched a sunscreen product and helped the dermatology group double in size. Learning all types of inbound and direct marketing, Kaitlyn decided she could do this for other business and the idea of South Street & Co. was born. Kaitlyn and South Street & Co. focus on helping clients with website design, social media, review marketing, blogging, SEO and email marketing, just to name a few. 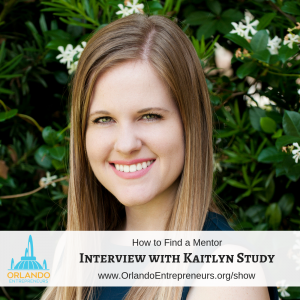 Aside from marketing, Kaitlyn is involved in the NAPW, a member of the Thornton Park District and the Downtown Orlando Partnership as well as a member of multiple networking groups in Orlando.